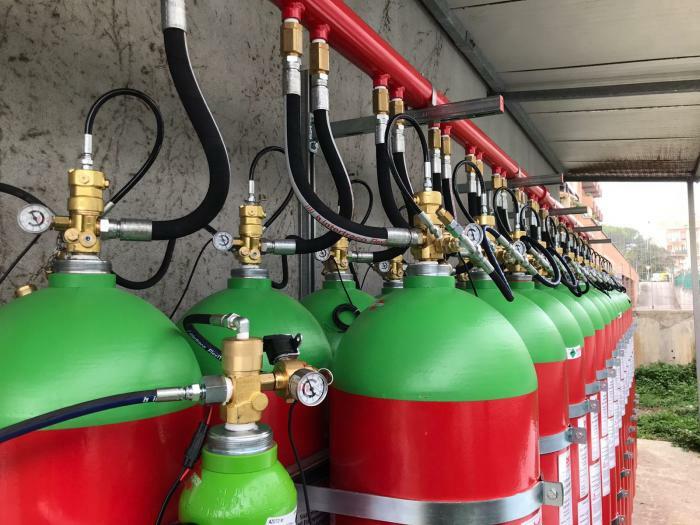 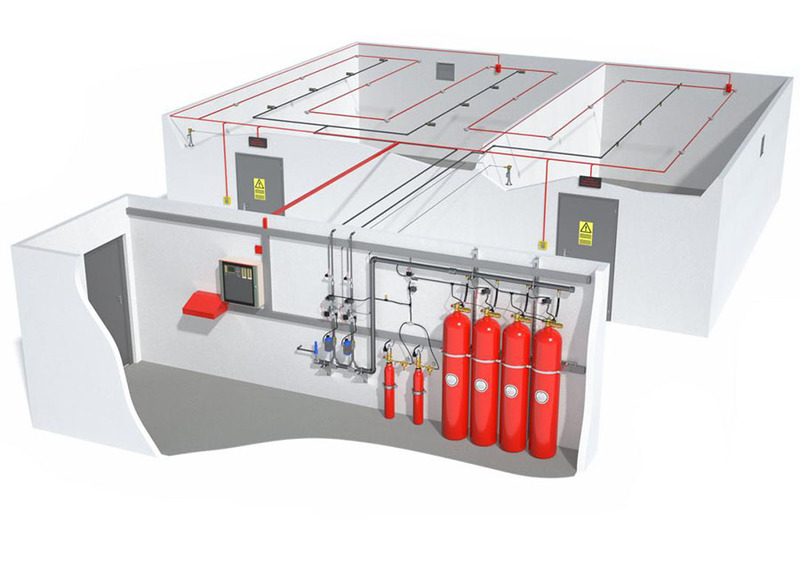 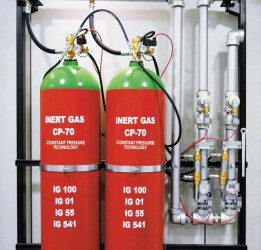 The Inergen gaseous system is an inert gas fire suppressant consisting of natural gases and extinguishes fire without causing harm to people, property or the environment. 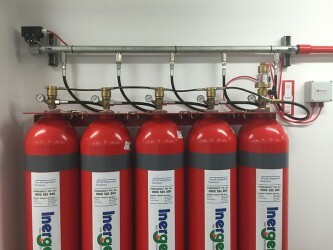 Inergen is a patented unique composition of safe gases including nitrogen, argon and carbon dioxide that naturally already occur within the normal atmosphere we all breathe so it overcomes flames, not people. 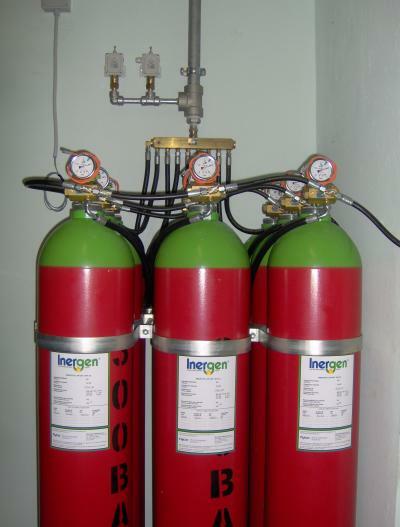 Inergen is designed to detect smoke, release the extinguishment gas and suppress the fire before any significant damage occurs. 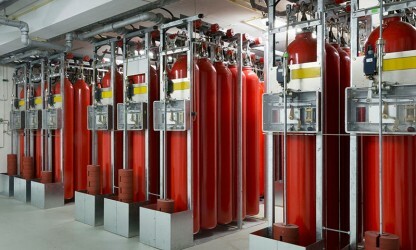 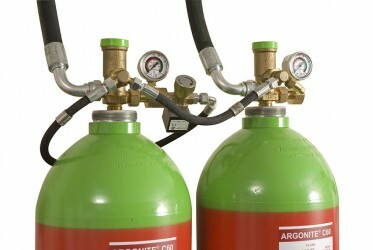 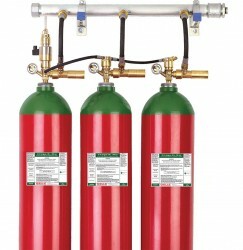 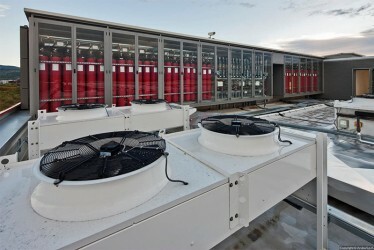 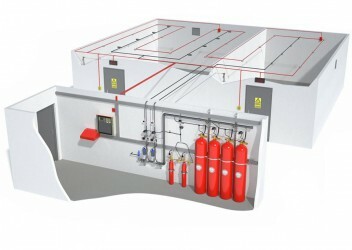 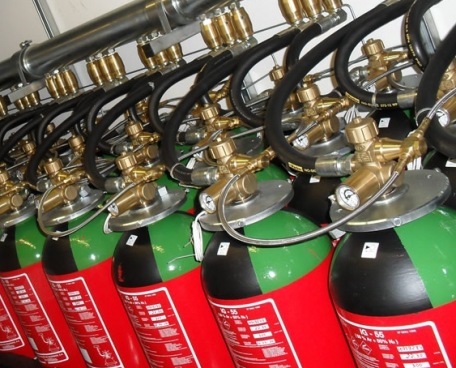 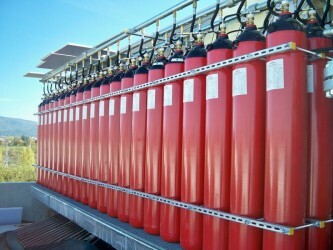 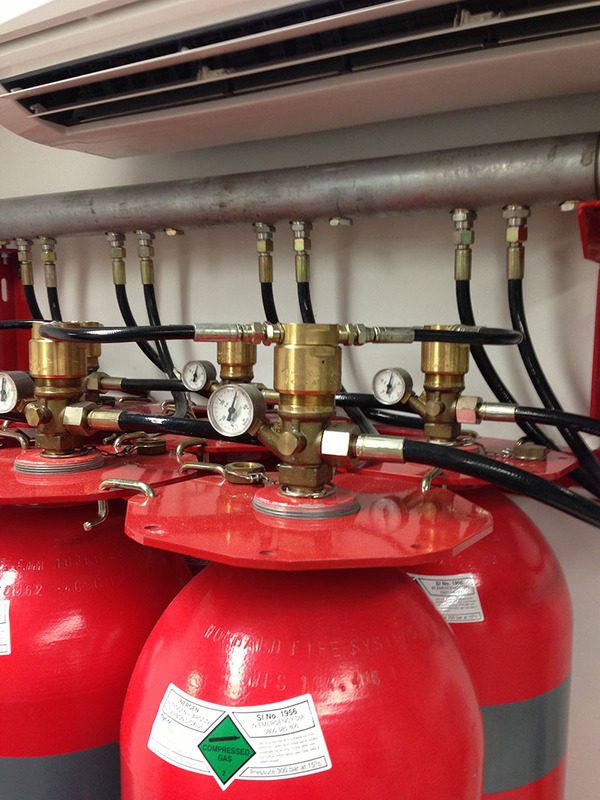 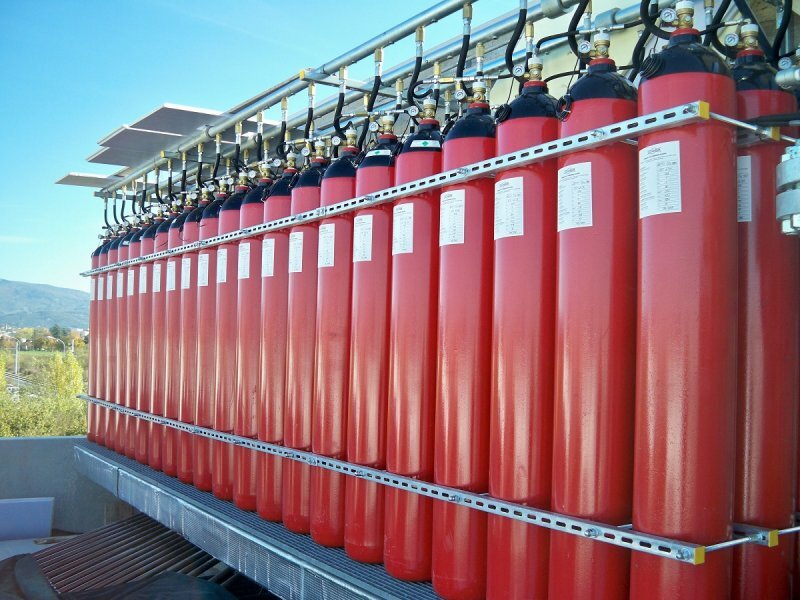 It is designed to exceed the requirements of World Standard for Gaseous fire extinguishing systems. 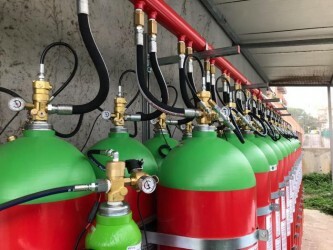 Powerful and people friendly: Smothers fire by diluting the oxygen concentration within the risk area, while it continues to allow people to breathe easily as they evacuate the area. 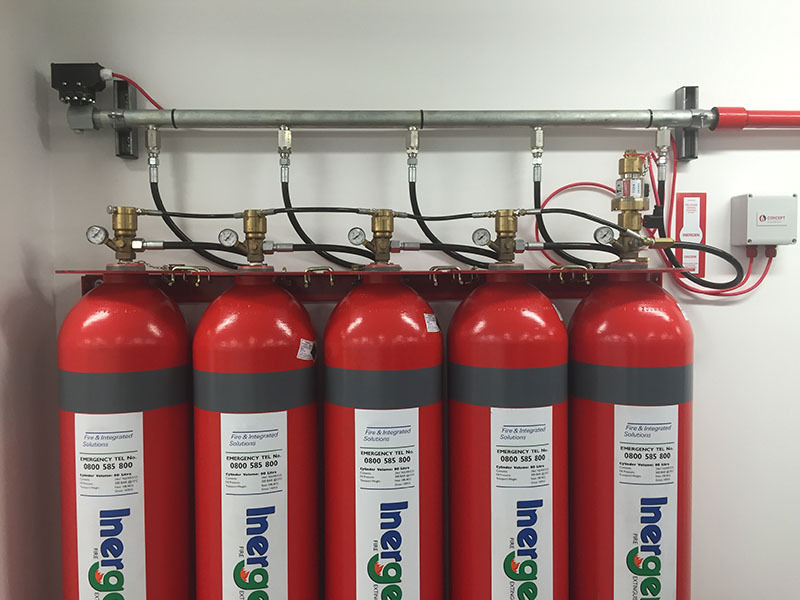 Environmentally friendly: Composed of natural substances from the atmosphere, the Inergen system has no pollution, ozone or global warming effect. 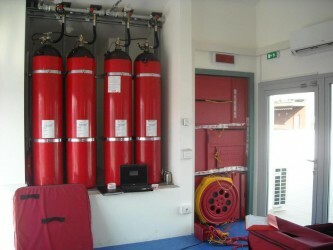 When the components are released they simply resume their natural role in the atmosphere. 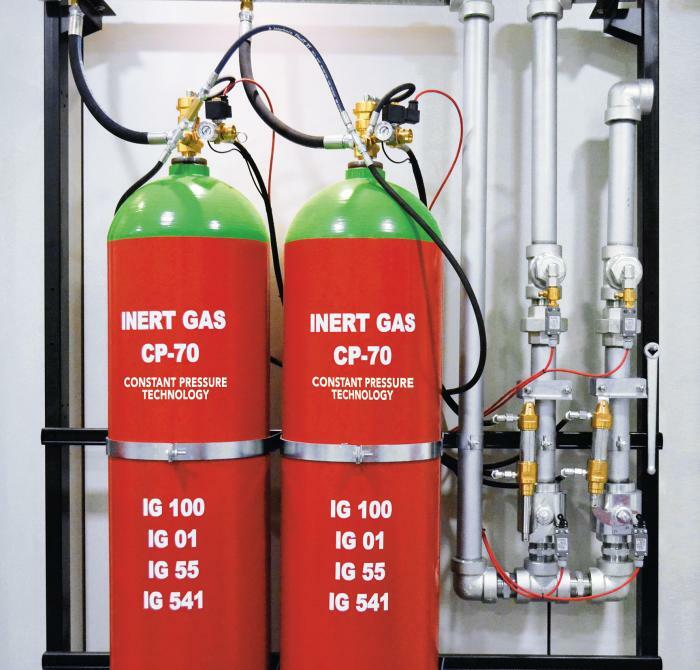 Exempt from Federal Government regulations: Containing no Ozone Depleting Substances (ODS) or Synthetic Greenhouse Gases (SGG), Inergen is exempt from these strict regulations and restrictions. 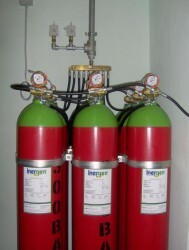 Equipment safe: Unlike many other agents that can become corrosive and permanently damage electronic components, Inergen does not form any corrosive by-products that can damage equipment in server rooms, data centres, medical facilities, laboratories or other sensitive electronic environments. 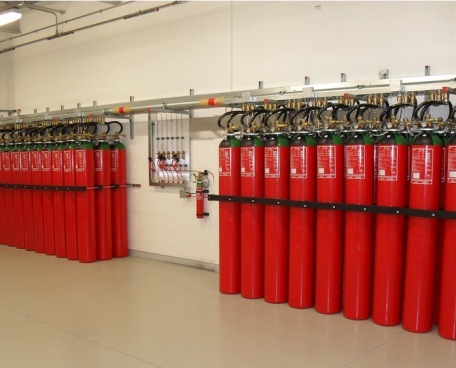 Cost effective: The result is lower repair bills, less impact on business and a safer environment for your people.